Located in Calgary, the Alberta Laser Rehabilitation Centre (ALRC) provides laser, manual and exercise therapies. We provide safe and effective treatment to eliminate pain and benefit your condition. Laser rehabilitation therapy is a non-toxic, non-invasive treatment for pain. It is ideal for those who prefer natural healing methods and who are tired of the negative side effects of painkillers. There are no known adverse side effects of laser therapy, and it is an excellent alternative for those who have found conventional therapies to be unsuccessful. Laser therapy – also known as COLD Laser, Low Level Laser Therapy (LLLT), Low Intensity Laser Therapy (LILT) , Photobiomodulation Therapy (PBM) and simply Laser Therapy – induces and supports the healing process. Instead of simply masking symptoms, laser therapy directly targets the cause of pain, delivering excellent results that could be permanent. The anti-inflammatory potency of laser therapy is ideal for the treatment of chronic conditions such as arthritis, degenerative disc disease and other autoimmune disorders. Rehabilitation services assist those suffering from long-term, chronic pain, or recovering from an injury. Helping you move more normally and naturally, rehabilitation services (including exercise therapy) focus on the areas where you feel pain, strengthening them in order to provide the affected area more support. Rehabilitation services combined with laser and manual therapies provide an exceptional chance for recovery. Therapeutic massage involves the manipulation of the soft tissue structures of the body to prevent and alleviate pain, discomfort, muscle spasm, and stress; and, to promote health and wellness. Therapeutic Massage Therapy is defined as the mobilization of soft tissue such as muscle, fascia and body fluids to restore normal systemic and biomechanical/functional use. 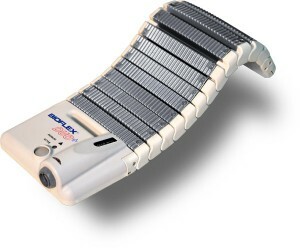 It can be used to assist in the treatment of most musculoskeletal and associated problems. The Alberta Laser Rehabilitation Centre (ALRC) in Calgary treats a number of conditions including sports and repetitive stress injuries, arthritis, neck and back pain, sciatica, migraines and dermatological conditions. Laser therapy also speeds up the recovery process from soft tissue, repetitive stress and muscle injuries. Instead of simply masking symptoms, laser therapy directly targets the cause of pain, delivering excellent results that could be permanent. The anti-inflammatory potency of laser therapy is ideal for the treatment of chronic conditions such as arthritis, degenerative disc disease and other autoimmune disorders.